If your profile matches with the requirements, then do forward your CV to resume@alokind.com . HO101 Marketing (Garments/Fabric) Manager/ Sr. Manager 8-12 Years in International Marketing Delhi/Mumbai/Bangalore Graduate or above "1. Need to market and coordinate with buyers. Procurement of order and following it through. 2. Tap his contacts for orders from current buyers and new buyers based on the factory skills and strength for the best price possible for the company. 3. Regular visits and communication with the buyers for new market trends and directions. 4. Provide inputs to design team for collections. Keep the office updated on the changing market trends. Maintain a pulse on the buyers buying patterns and financial condition. 5. To be able to give a tentative spot costing during buyer meetings. 6. 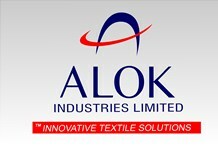 Must have good knowledge of Woven, Knitted & Function Fabrics, Garments and products. 7. Must have good Export experience & good contact with buyers." HO102 Knits Designer Manager 6-10 Years in Knitted Fabric Designing Mumbai B.Des-Fashion Design/Textile Design "1. To handle Knitted Fabric Designing. 2. New Product Development as per season requirements. Creating sketches, developing new designs & concepts on Knitted fabrics & producing samples for presentation to customers. 3. Understanding customers’ needs, creating Mood boards and designing customer specific Knitted fabric collections. 4. Collaborating with Marketing & Product Development team and help bring new ideas for design and content creation. 5. Visiting factory, International Fairs, Exhibitions, and Events etc. for new design innovations. 6. Keeping up to date knowledge of new designs techniques and technology. Study & research on current and emerging trends relating to Knitted fabrics design, colors and shapes." HO103 Merchandiser-Garments Manager 6-10 Years in Garment Merchandising Mumbai Any Graduate "1. Need to market and coordinate with both international & domestic buyer. 2. To develop & manage key accounts. 3. Procurement of order and following it through. 4. Provide inputs to Design team for collections. 5. Tap his contacts and current buyers for orders based for the best price possible. 6. Regular visits to factory and communication with the buyers for new market trends. 7. To be able to give a tentative spot costing during buyer meetings. 8. To coordinate with production, dispatch & quality department. 9. Must have good knowledge of fabrics, garments, accessories, be able to work with the team on buyer requirements. 10. Must have exposure of both woven & knitted garments."